WHATEVER its protestations, Hizb ut-Tahrir actively promotes terror and violence, says Melanie Phillips. HIZB ut-Tahrir , which held its controversial rally in Sydney on Sunday, is not just yet another radical Islamist group. It is one of the most manipulative and effective recruitment fronts for the Islamic jihad, particularly among the educated Muslim young. It is precisely because its spokesmen do not appear to be wild-eyed fanatics but are usually highly intelligent and even intellectual that it is so appealing and therefore so dangerous. But because it takes such care to conceal its links to terror, governments in Australia and Britain, where it has managed to establish a significant and highly troubling presence, find it difficult to deal with it. Liberal societies are reluctant to ban any organisation unless it can be proved to be connected to terrorism or violence. Since neither Australia nor Britain says it has found any such links, they allow HT to continue to operate while monitoring its activities. Hence Sunday’s meeting in Sydney. But HT members in other countries have been involved in terrorism, and whatever its protestations to the contrary, the organisation actively promotes and encourages violence. And since it regards itself as a global movement that does not recognise national boundaries, the comforting fiction that it presents no threat to Australia is particularly otiose. In Russia, HT has been banned since 2003, when the leaders of its Moscow cell were arrested in possession of plastic explosives, grenades, TNT and detonators. In August 2005, nine members of HT in Russia were convicted of illegal possession of weapons and incitement to racial and religious hatred. In August 2002, HT in Denmark reportedly offered the equivalent of pound stg. 25,000 to anyone who killed a prominent Danish Jew, producing a hit list of between 15 and 25 leading members of Denmark’s Jewish community. The leader of HT in Denmark, Fadi Ahmad Abdel Latif, was convicted of incitement to racial hatred for distributing a leaflet urging people to “kill them, kill the Jews wherever you find them”. And last year HT was banned in Bangladesh after the government said it feared the organisation posed “a threat to peaceful life”. Not only does HT explicitly promote violence in Israel, Afghanistan and Iraq, but it calls on Muslims everywhere to engage in violent jihad. HT is dedicated to the creation of a single Islamic state, or caliphate, that “will reach the whole world and the rule of the Muslims will reach as far as the day and night”. It believes there is a timeless conflict that governs relations between Muslims and “unbelievers”, a conflict it encourages. HT makes clear in its literature that peaceful means are not enough to win this conflict and that Muslims are allowed to launch aggressive wars against non-Muslims. Its publications say Islamic religious texts all command Muslims to initiate fighting against disbelievers, “even if they do not initiate [it] against us”. Its invective radicalises Muslims everywhere to the cause of extremism and jihadi violence. 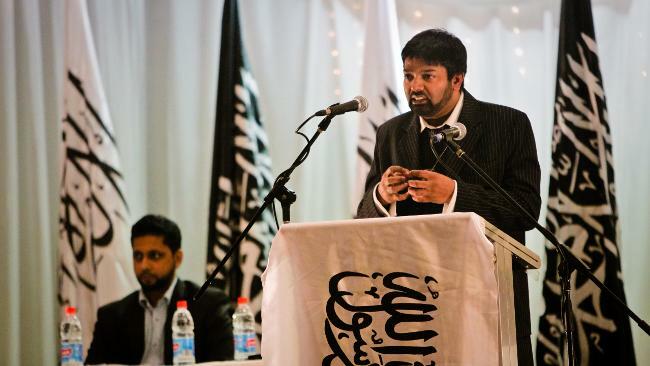 In Britain, it has had a particularly seismic effect on campus, where its combination of intellectualism, save-the-world idealism and secret-society comradeship has proved devastatingly effective in recruiting even highly westernised students to the jihad. Britain’s National Union of Students has twice banned HT – in 1994-95 and again in 2004 – holding it “responsible for supporting terrorism and publishing material that incites racial hatred”. The result has been merely that HT has repeatedly changed its name to continue to spread its message on campus. But the students union’s attempt to stop HT has not been echoed by the British government, although the new Prime Minister, David Cameron, promised in opposition to ban it. Not only has the government refused until now to proscribe it, but it sometimes inadvertently even channelled public funds to it through front organisations. And it has taken no legal action against it, despite calls by British Jewish leaders for HT to be prosecuted after it repeatedly called on its website for the killing of Jews and the annihilation of Israel. Several former HT members in Britain have testified to the extraordinary effectiveness of HT’s manipulative mind games on impressionable Muslim youths, and have been in the forefront of arguing that the British government’s refusal to ban it has been a disaster. Shiraz Maher, who left HT after the London tube and bus bombings in 2005, says there is a real danger in allowing the group to operate freely, as its words may have inspired terrorist activity. One of Britain’s first suicide bombers, Omar Sharif, was partially radicalised by HT activists at King’s College, London. Maher also notes that HT targets Britain’s many foreign Muslim students in order to project the party’s message back into the Muslim world, where it is severely curbed by local governments. That’s why public meetings such as the one in Sydney are so important to HT, not just to radicalise Australian Muslims but to boost the organisation’s ability to recruit to the cause in countries that have banned it because they are only too well aware of the lethal threat it poses. Democratic countries such as Britain and Australia are rightly very reluctant to clamp down on political expression. But the decision that nothing can be done to ban HT’s “conveyor belt to terror” is disastrously naive. Melanie Phillips is a columnist for Britain’s Daily Mail.